Clark Tidwell has represented individual and corporate property owners in eminent domain cases in state and federal courts for over 40 years. Eminent domain is intriguing because every property is unique. There are a variety of governmental entities that use condemnation for their projects, such as the Tennessee Valley Authority to build or update its transmission lines, Piedmont Natural Gas Company to build or update its gas pipelines, the Tennessee Department of Transportation to build or widen roads. Each condemning entity has a separate and distinct procedure to handle the taking and condemnation of a landowner's property rights. And every case is different. Not only are the properties being taken unique, the landowners who own those properties are, as well. Many feel strongly about their land and have a sentimental attachment to it. They are entitled to just compensation - payment for the land taken and for the damages to their remaining land and improvements. Can you negotiate with the condemning authority yourself? Of course. But they can take advantage of your lack of knowledge about what you can and cannot be paid for. Most who choose not to pursue just compensation through the courts almost always leave money on the table. Clark moved his office from the congestion of downtown Nashville to an office in Burton Hills. It is very accessible, with free parking. To schedule a free consultation, please call me at (615) 417-2929. Or if you prefer, see his other contact information on the Contact Page. 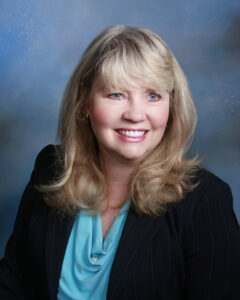 Clark is assisted by paralegal Julie Cottingham, who has more than 30 years of experience. She is friendly, knowledgeable and capable, and is always available to assist with your case. Her phone number is (615) 430-3972, her email address, Juliecottingham@ctidwellatlaw.com.